Each 2015 UBC student Intern brought unique gifts and knowledge to the Indigenous Health Research & Education Garden and its programs. Read about some of their experiences below. Hi everyone, my name is Victoria Cooke and I’m a non-Indigenous student of Scottish, Jamaican, and Irish ancestry raised on Six Nations territory in Hamilton, Ontario. This upcoming September I am heading into my third year with a double major in First Nations and Indigenous Studies as well as Gender, Race, Sexuality, and Social Justice Studies. I am very grateful to be living on and with the beautiful land and community of the hən̓q̓əmin̓əm̓-speaking Musqueam peoples, and with this internship am looking to help build on my experiences so far in order to further discover what making such an acknowledgement can mean for peoples of all backgrounds, both locally and nationally. I am hoping to develop a more reciprocal, locally-minded, and beneficial relationship with the land to explore methods of feminist and decolonizing praxis not readily available in the classroom setting, and with that more meaningful relationships with others that walk this land as well. 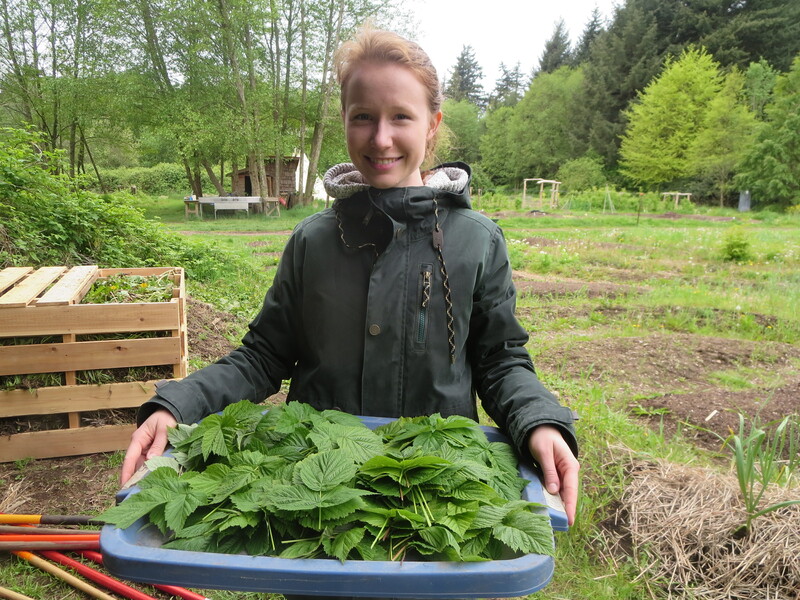 I’m very excited to meet all of you and want to thank Hannah, Eduardo and the rest of the UBC Farm community for inviting me to be a part of such an amazing place. 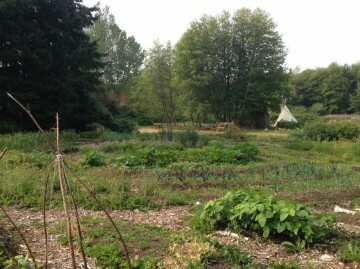 I have so much gratitude for the opportunity to be a small part of this humble, hard-working community called the UBC Farm, and abundant appreciation for the xʷməθkʷəy̓əm peoples for their ongoing stewardship of their unceded, ancestral and traditional lands on which we are privileged to live and work on every day. My internship really grew out of this acknowledgement. I wanted to engage with the acknowledgement in a more meaningful way. 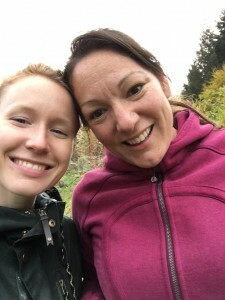 Being in the Indigenous Health Research and Education Garden really helped me connect with the land and with its knowledge and power in ways that I hadn’t experienced much of before. The concept of food as medicine truly is what this garden is all about. Watching the squash go from seed to blossom to fruit and knowing that you, along with the precious gifts of water and sunlight, helped to create that food that will nourish the community is a very special gift in itself. 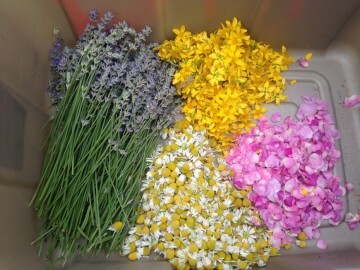 I gained a small foundation of knowledge of medicinal plants as well that will continue to grow in the years to come. The days I was able to spend time with elders and knowledge-keepers Alannah, Tonya and Lee were days that held lessons I will carry with me for a very long time. The two most important things I learned in relation to the medicines are that the medicines you need in your life will follow you wherever you go, so make sure you’re paying attention, and; that when you’re working with the medicines you need to have good intentions and a happy heart otherwise the person receiving those medicines will not get their full benefit and in fact may actually be hurt by them. My absolute favourite part of my internship was participating in the community circles at the beginning and end of each Garden session. This practice was suggested by my internship partner Dancing-Water, and was a way of grounding us and volunteers in the Garden space. We asked people to tell the group what brought them to the Garden as well as one thing that they were hoping to get out of the day at the beginning of the session. At the end when we were finishing up, we’d gather around again and ask folks about something they learned that day or about the feelings that they were leaving the Garden with. It was really rewarding to hear their testimonies of experience, and I often left the Garden with the sense that the collective experience of sharing those thoughts was the most valuable lesson to be gained: one being cannot do all the work of caring for a community; it takes many strong, gentle hands and thoughtful minds to do that work.